Pictured here, is another blogger from the student reporter team: Helen Sitar from the US. She is holding an undergraduate degree in Environmental Science & Policy (Smith College, USA). 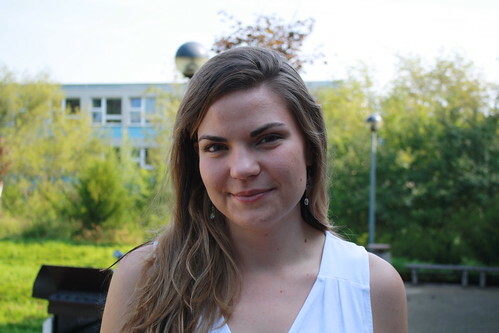 At University of Bayreuth (Germany), she is currently doing a masters degree in Global Change Ecology. For her, it’s the first time as a student reporter. By being student reporter, she hopes to increase her knowledge and skills in (web) journalism – especially as she is currently also considering a career in journalism. 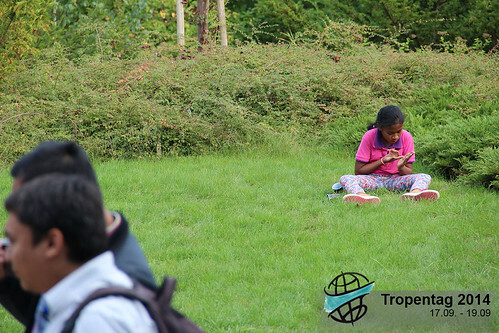 It is also her first participation at Tropentag. She is very eager to engage as much as possible with the people and the many issues discussed here in the next couple of days (e.g. intercultural conflicts and development). Her main interests are human-environment interactions and specifically, the consequences and implications from man-made ecological changes on the environment and human livelihoods.